Technology continues to drive the supply chain forward. Whether newer advancements like blockchain and artificial intelligence, or more traditional operations systems, modern manufacturers recognize the critical role technology plays in keeping pace with the supply chain evolution. Yet, most attention (and budget) is still given to the larger, established tools like enterprise resource planning (ERP), warehouse management systems (WMS) and transportation management systems (TMS), ignoring one of the most critical parts of the supply chain – compliance. Given the significant impact compliance can have on the supply chain, it’s surprising that many companies shipping dangerous goods (DG) continue to lack adequate infrastructure to effectively and efficiently manage regulations and ensure adherence. This puts their operations, customer relationships and bottom line at risk, and ultimately diminishes any value gained from technology investments in other operational systems. To truly be a modern manufacturer, organizations must embrace digital technologies and system integration – including DG compliance – to streamline operations and drive their supply chain forward. By doing this, organizations can place the compliance process under a more automated umbrella to further increase efficiency, enhance outcomes and reduce costs. 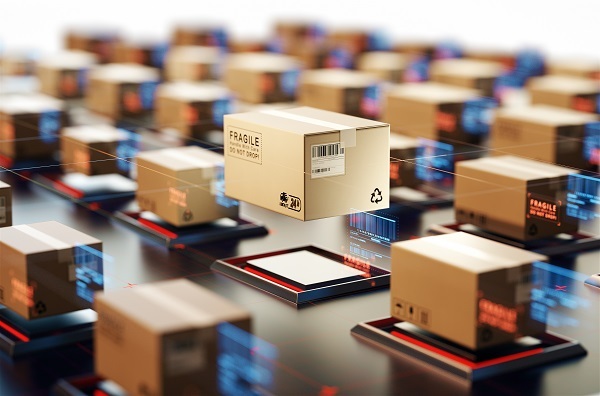 The risks of regulatory non-compliance are a constant concern for organizations responsible for DG packaging and shipping, who face increasingly complex, omni-channel supply chains and expanding regulations that make compliance more challenging. And it’s even harder for those that lack the necessary infrastructure. According to Labelmaster’s 2018 Global Dangerous Goods Confidence Outlook, 27% of DG professionals think their company’s investment to support compliance is not adequate to meet their current needs – let alone their future needs. Labelmaster’s global survey also found that 28% of DG professionals are still doing everything manually. This means searching regulatory publications by hand to find the latest rules related to packaging, labels and documentation, along with manually maintaining classifications for products considered hazardous. Not only is such an approach overwhelmingly inefficient, it is also highly susceptible to human error. Drive Supply Chain Efficiencies: Shipping DG is a complicated, time-consuming process, with dozens of tasks required to put an item into transport (e.g., item classification, regulatory rule access, permits, preparing shipping documents, etc.). For this reason, significant inefficiencies, delays and errors will likely be found across the supply chain. DG software can automate and streamline the shipping process by helping produce documentation, classifying shipments and validating packaging, labels and markings against the latest regulations. Maintain a Smooth Supply Chain: Compliance challenges slow down the process of getting shipments out the door, and the transportation process itself. When a hazmat shipment is stopped for failing to meet shipping regulations, it ends up stuck in customs, on the tarmac, or at a port until that organization makes a compliant. This can result in fines and added expenses, as well as stopped shipments that cause late deliveries and impact customer satisfaction. By taking steps to ensure compliance – for labels, packaging, documentation, permits and more – companies can reduce the risk of stopped shipments and help ensure deliveries reach customers on time. Keep Supply Chain Costs in Check: From fees related to stopped shipments to customer fines for late deliveries to increased insurance liability following an accident, the costs resulting from noncompliance can add up. Investing in DG software not only helps avoid fines, it helps organizations maintain lean operations, better manage inventory, and identify more cost-effective solutions to ensure they’re not spending more than necessary on packaging or protection of goods. Compliance technology can have a significant impact on a company’s ability to maintain an efficient and cost-effective supply chain, but simply purchasing software isn’t going to automatically improve operations or guarantee compliance. To truly optimize DG shipping operations and drive real business value, companies must successfully integrate compliance with the rest of their operations and systems (especially an ERP). When this is done, organizations can achieve best-of-breed functionality via a single, familiar user interface. And because data is stored — and therefore maintained — in a single location, all stakeholders are working with accurate, up-to-date information, so there is no wasted time or effort related to reentering data in multiple systems or learning how to use multiple interfaces. Compliance can have a significant impact on the supply chain, and not having the adequate infrastructure in place can cause supply chain delays, decrease efficiency and put customer relationships and your bottom line at risk. By investing in DG compliance technology (and integrating it with other systems), manufacturing organizations can improve operational efficiency, reduce operating costs and help maintain a smooth, on-time supply chain. Pia Jala is vice president of operations for Labelmaster, where she works with clients to develop tailored solutions for safe and efficient transportation of dangerous goods. Since 2007, she has helped clients in diverse industries with issues ranging from rapid mediation of regulatory actions to complete overhauls of dangerous goods programs. Prior to her current position at Labelmaster, Jala was the global manager of dangerous goods for Atlas Air and Polar Air Cargo. 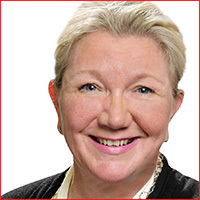 She is actively involved in industry organizations related to dangerous goods transport and participates in COSTHA regulatory and reverse logistics panel, Dangerous Goods Advisory Council (DGAC), The International Air Cargo Association (TIACA), and Air Forwarders Association (AFA).